This vintage cabinet stands ready to supply cold drinks for your next soiree, and timeless construction makes it a pleasure to build. While the original function of an icebox may be obsolete, one look at the photo shows that the look is still fresh. 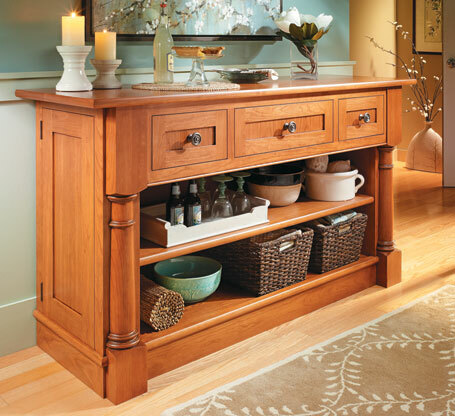 This cabinet is based on an older design, but it has a new job — as a serving station. 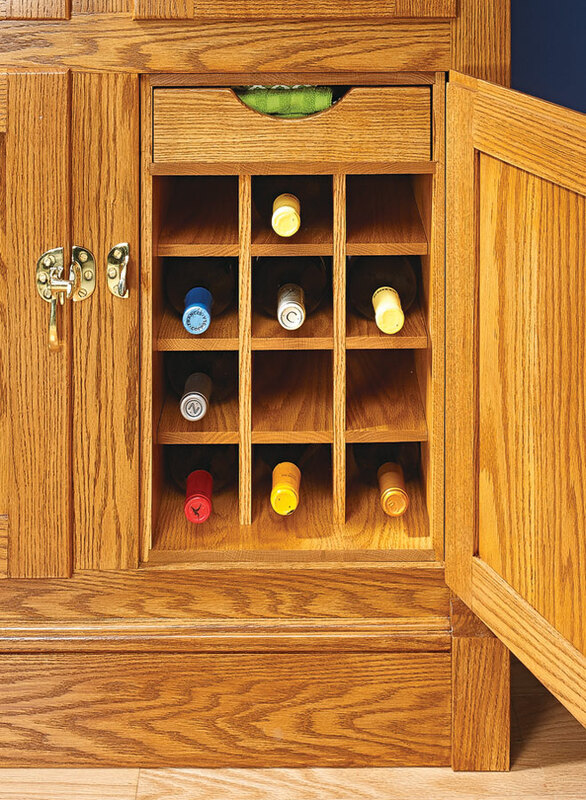 Inside are four storage compartments for storing beverages, glasses, and supplies. 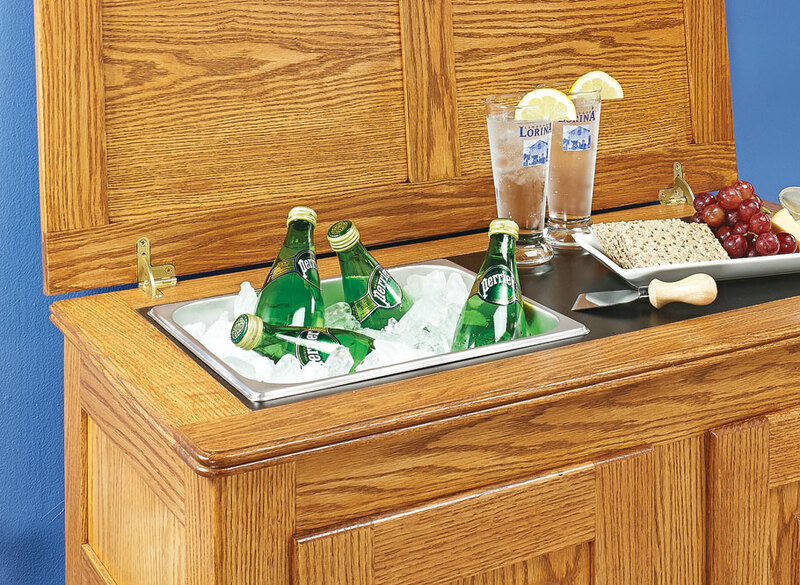 A flip-up lid conceals an ice bucket and laminate-covered serving area. 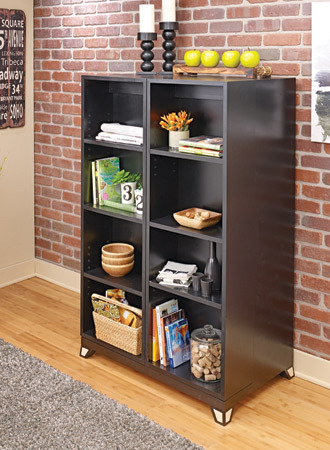 You’ll find plenty of enjoyment in building this icebox, too. Like the styling, the construction is all traditional. 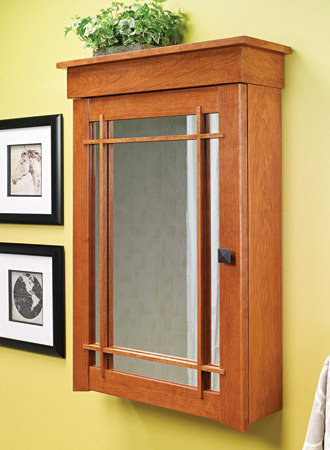 We used red oak throughout. 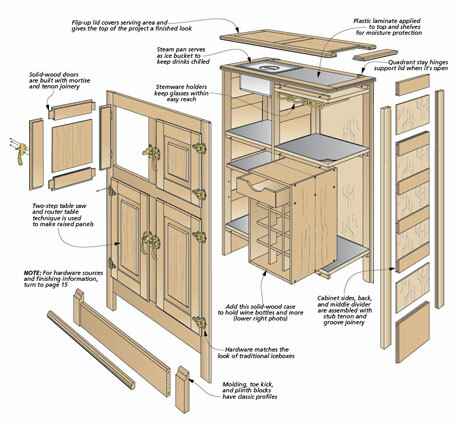 The case, doors, and lid feature stub tenon and groove as well as mortise and tenon joinery. 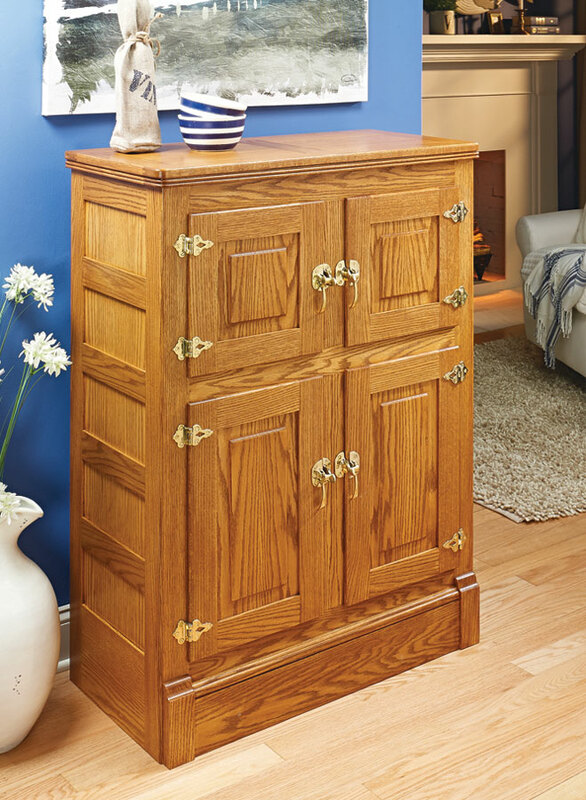 Even the finish is meant to evoke a well-used antique. Once it’s complete, sit back and enjoy the result of your efforts with a cold, refreshing drink.